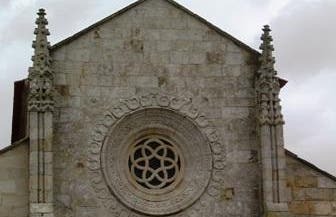 The parish church of Caminha was named a National Monument in the year 1910. The granite church is Gothic with Renaissance details. On the facade are the tower and the rosette, inside the 7th century tiles, gold leaf altars and confessionals in Manueline style. From the wall we can see lovely views of the river and the Spanish town of A Guarda.